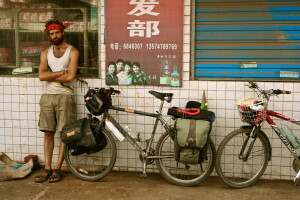 In November of 2014, Charlie Walker completed a 43,000 mile cycling adventure through 61 countries in Europe, Asia, and Africa. It was a 4.5 year expedition that began in England on a secondhand bike he called Old Geoff. As part of the journey, Charlie also trekked 1,000 miles across the Gobi Desert from Beijing to Ulaan Baatar, rode a horse 600 miles across the Mongolian steppe, and paddled a dugout canoe down 350 miles of the Lulua River in the Congo. You can learn more about his adventure and the charities he is supporting at charliewalkerexplore.co.uk. Charlie Walker, welcome to The Pursuit Zone.